We have a Full Moon party every month which includes live music, dancing, DJs, Bahamian Junkenau Parade, and Fireworks. 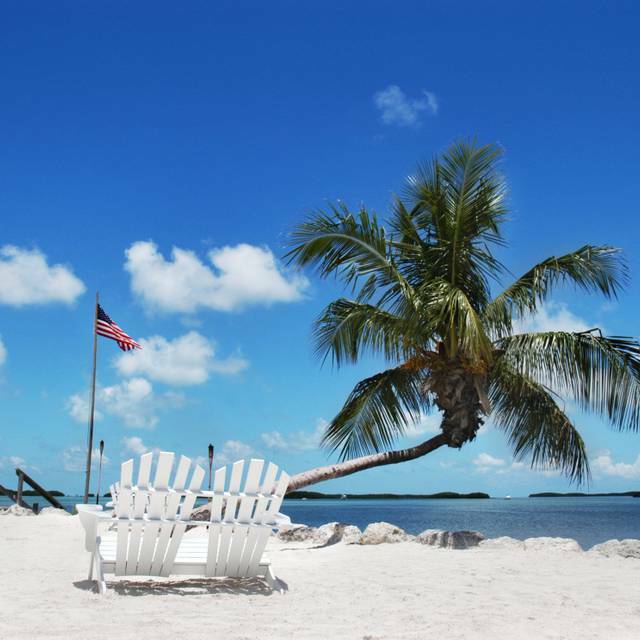 Located in the heart of Islamorada at mile marker 81.6, Pierre's Restaurant is set amidst a glorious, palm-lined beach overlooking blue waters, with walking paths thru tropical flowers and a thatched forest. 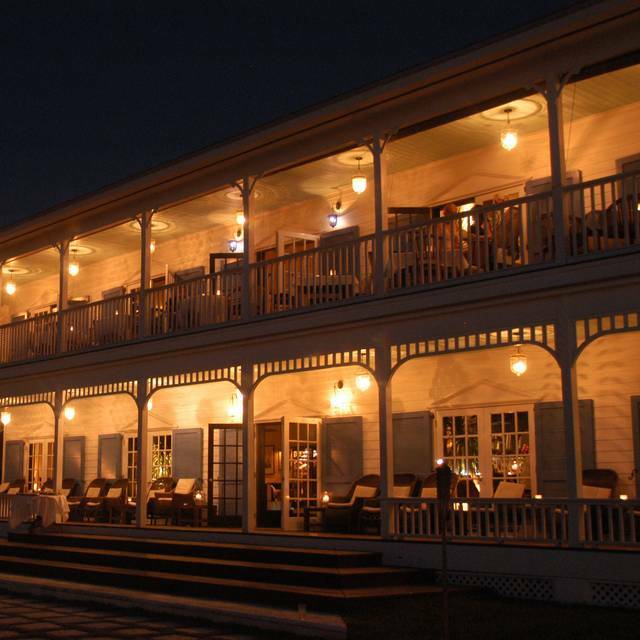 The restaurant shares a magnificent plantation-style house; Pierre's offers fine dining on the second floor. 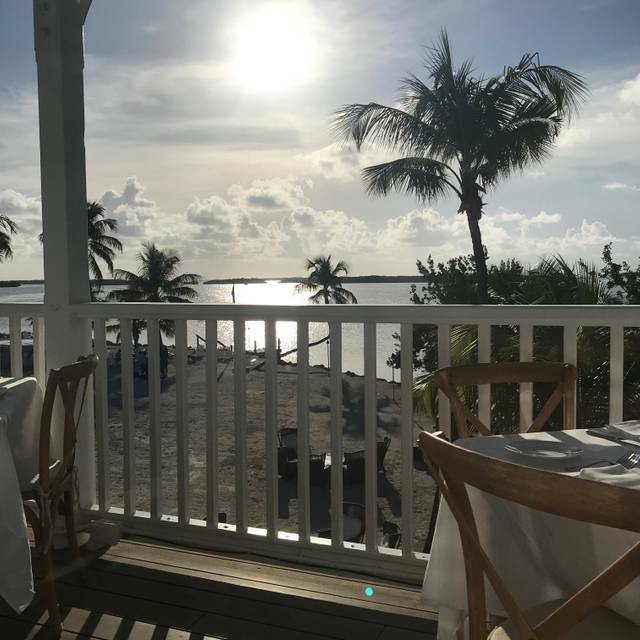 Guest may enjoy meals meal indoors, or on the veranda-accompanied by Islamorada's spectacular sunsets and tropical views. 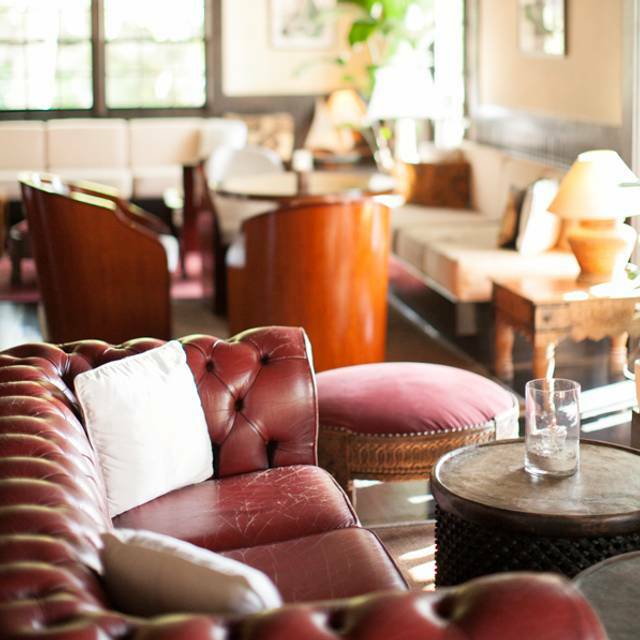 The Green Flash Lounge serves guests on the main floor and the downstairs' veranda. Fantastic food!! Just wonderful! Staff and ambiance were terrific. The prices are steep. But we still ordered the food and ate 3 courses!! So, it was great! Fantastic noise level high was due to music and full moon party which was amazing. I will give them this... it is a pretty setting. We requested a table on the porch when reserving but when we got there we were told there was no table available on the porch because their lodge guests get first priority. We were put inside in their stuffy dining room. We still had a distant view through other tables. Our waitress was notably abrupt and unfriendly. She would not accommodate any request. For example, one guest reasonably asked to substitute roasted potatoes (which were on the menu included with other entrees) for fennel which was included on their entree because she does not like fennel. The waitress said the chef allows no substitutions for any reason. The guest said "OK, then please leave the fennel off" and the waitress said no, it would run the presentation. All in all we would have preferred a casual dinner on the beach at their sister restaurant next door. But, we were celebrating two occasions and thought Pierres would be nicer. By the way , they knew of the celebrations and offered nothing. So glad you enjoyed yourselves. Thanks for choosing us,, and please come back and see us again soon!! We requested outside patio but it wasn’t ready when we arrived so we had a drink on the porch to watch rest of the sunset. Great location with casual elegance! 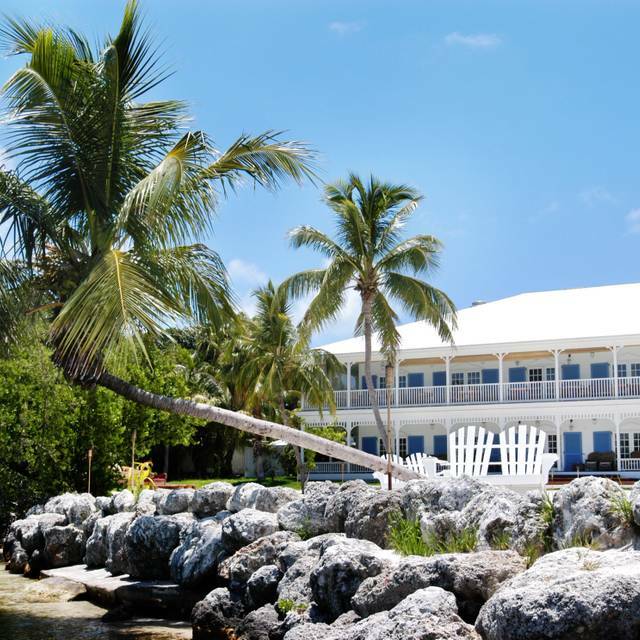 Morada Bay Beach Café great for lunch but Pierre’s is for a more romantic upscale experience! I had the yellowtail tuna and my husband had the snapper. Both were the best we had our entire trip. Key lime also very good. This is definitely not a fish restaurant despite the beach location. Lamb chops were outstanding, but fish (grouper) was lacking flavor, the creamy cause was not complimenting and choice of vegetables was strange to say the least: green beans and potatoes with skin on are more appropriate for meat dishes. Thank you so much. We very much appreciate your kind words and support. Please do come back and see us again soon. Thanks again. Ambiance is second to none, the sunset is gorgeous. Service was fantastic as well as the food. Best grouper I’ve had and we frequent many upscale restaurants. When we asked about some of the food dishes our waiter was extremely knowledgeable. Thank you. It's nice to hear that our hard work is appreciated. Please come back and see us again soon. We had a wonderful dinner. Peter was informative and fun, awesome service. Lobster with Forbidden Black Rice was interesting and tasty. $40 corkage...ouch. We dined at sunset and had an outdoor table overlooking the water with unobstructed views. Our server was very professional and attentive. We ordered some inspired cocktails that were delicious. The menu is oriented towards fresh seafood, but other fare is also present. Our salads, octopus appetizer and local-catch fish entree were prepared to perfection. The wine list was adequate but appropriate for the menu, with a bias toward New World vintages. However we able to find a nice French Chablis that was perfect. One note on the wine service: the first bottle we ordered was a white Burgundy that turned out to be corked. Our waitress acknowledged it immediately and was quick to help us find something else to our liking. The dessert offerings were also great and paired with a fine port. 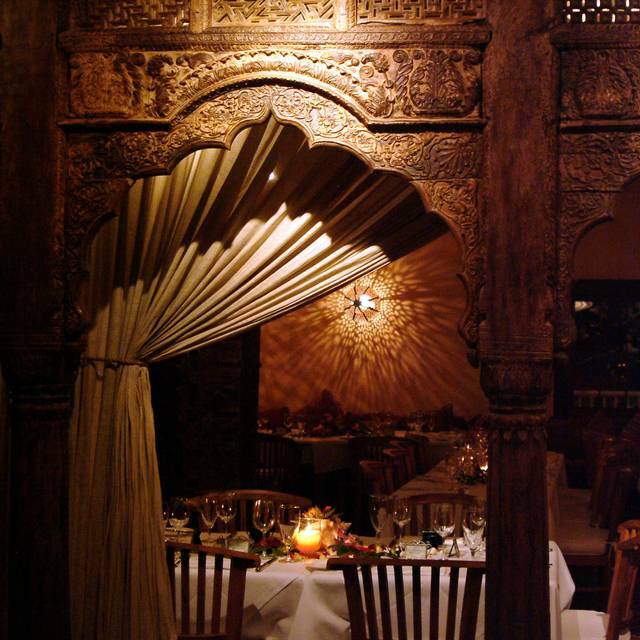 This place is not inexpensive, but it is a great destination for a special romantic dinner. Thanks. That's a beautiful and on-point review. Sorry about the wine issue, as you know, this can happen from time to time with the finer old vintage wines. We do appreciate that you caught it right away and we were able to offer to you a different selection. We do remember your table, you were a very nice couple, our server Lina took care of you. Please come back and see us again some time. And thanks again. Amazing in every way! 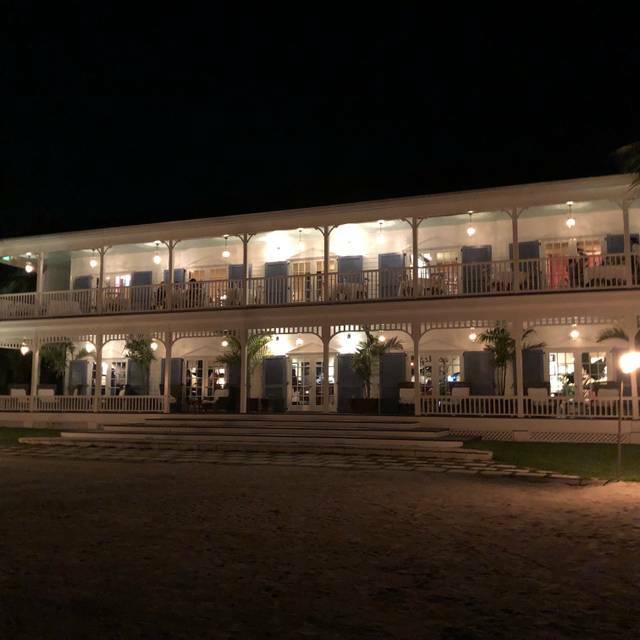 Best dining experience in Islamorada. Thank you so much!! Wonderful to hear. Please come see us again soon! Great view. Food could be better. Everything about Pierre’s was excellent. The table linens, glassware and silver made for an upscale table setting. The setting—outside on the deck—at sunset was so beautiful. A delicious bottle of Cab, along with deliciously prepared fresh seafood, made for a complete over-the-top experience. Not to be missed: snow crab claws, curried lobster! Thank you so much for this wonderful review!! We very much appreciate you support. We try very hard always here to deliver an excellent dining experience. It's so nice and reassuring to know that our hard work is noticed and appreciated. So thank you again, and please come back and see us again soon!! Wonderful food and experience! Highly recommend. Thank you so much. Please come back and see us again. Every aspect of our experience here was fantastic! Everything was great except for the food, it was uninspiring and lacked originality, with rather bland appetizers and entrees. Disappointing given the location,service and ambience was excellent. Hello. Thanks for coming to visit us. We're sincerely sorry that you found our food lacking in certain areas. We use only the finest quality of product that can be found to make our dishes and we're actually quite proud of how we do with them, and how well-received they are by our guests. Finally, a big big thanks also for adding the other areas of service and ambiance as excellent. We very much appreciate it, as we appreciate all input we receive. Thanks again. Hello, and thank you. Your kind words are much-appreciated. Thanks again and please come back and see us again soon. Thank you!! Please come back and see us again soon. The food was very good, however the service was slow. For such a lovely restaurant it was disappointing to have such an inattentive waitress. Hello. Thanks for coming and also for taking the time to write a review. We take all our reviews to heart, we appreciate the constructive criticism, and we'll work on it so that your next experience promises to be fantastic. THanks again. Food was spectacular - fresh, interesting, beautifully presented. If you go, bring a credit card with a VERY high credit limit. $75 for a steak! $50 for the lobster entree I split with my friend. A tiny (though delicious) salad for $15. Ambience on the terrace overlooking the bay at sunset was beautiful. Waiter was pretentious. My entree included coconut served still in the shell. When I asked if he could split it open and get the coconut out so I could eat it, that seemed to surprise him. Although he took it back to the kitchen and told me someone who was "the best" had prepared it, I saw no change, and was unable to get at the coconut to eat it. Great wine, French onion soup, and special Iberian ham! Thank you very much. So glad you enjoyed yourselves. Please come back and see us again soon! Restaurant was probably best eating experience ever..our waitress Lena was so attentive and knowledgeable not to mention the manager who was just the greatest..stopped to make sure we were having a good time and found out he was from our home town..you have to experience this place! Beautiful ambiance, great service, questionable value. My $70 filet was average at best. Hello. Thanks for coming and we are glad you enjoyed our ambiance and service. We take pride in the overall dining experience that we offer here at Pierre’s, so thank you very much for making note of it. Additionally, though, we are sorry that you found our filet to just average. That particular filet is Prime (not ‘Choice’) Dry-Aged Black Angus Filet Mignon; we taste-tested many options until we found the perfect one. Thanks again and please come back and see us again sometime. Hello. Thanks for coming and we're so glad you enjoyed our ambiance and service. And thanks for the shout out to our hostess, she's amazing, we love her here. Sorry if you found us a tad expensive but please let us assure you that we use the finest and freshest of products that you can find anywhere in South Florida. Please come back and see us again soon. Thanks again. Wonderful evening. Nice place to watch the sunset! Thank you very much for the nice comments. Please come back and see us again soon. The staff and atmosphere was fabulous from top to bottom, the food was exquisite and chef John Delouch came out to chat with us. It was so good, we went back the next day! Thank you so much. Thanks for coming and also thanks for taking the time to write a nice review. We really appreciate it. Please come back and see us again soon. Wonderful food and views at Pierre’s. High end dining in Islamorada. Drinks and sunset at morada bay (next door) beforehand make for a perfect happy hour ! Thanks so much for this nice review!!! We really appreciate your support. Please come back and see us again soon. The restaurant is beautiful, however service was awful. Not only did we get seated about 40 minutes late but once we got seated it took about 20 more minutes for anyone to bring us a menu. My lobster was great but my boyfriend ordered steak and it was terrible. The location was beautiful and the food was spectacular! We went for the Full Moon party and it was so much fun! I can’t wait to do this again and will definitely be planning my next trip around this event. Hello and thank you! Our Full Moon Party nights can get a little wild sometimes, and we're so glad you enjoyed everything that night! Also please check us out on one of our regular non-party nights, if you want a taste of the more tranquil and elegant side of Pierre's. thanks again, and hope to see you again soon!! Terrific French cuisine - worth the drive from Key Largo. Parking can be a bit of a challenge as this restaurant's lot is also for resorts other, more casual, restaurant. The food was great as was the service but the prefixed menu for Valentines day was incredibly expensive. I was poor and hungry after the lovely evening. Hello and thank you for coming, and for taking the time to write a review with you input. We're so glad you enjoyed the food and service. But please also try coming back to see us when it's not one of our busy PriceFixe Menu nights and you'll have the guaranteed and wonderful true Pierre's experience. Thanks again. Everything was absolutely amazing, phenomenal food, service and ambiance. One of the finest places I’ve ever dined at in the Keys!!! The snowy grouper was so good!!! Fantastic place for dinner- from atmosphere to derive to food! Amazing location and ambiance, some of the food is incredible and some is "only" great. Would definitely recommend for a special occasion in the Keys. Pierre’s is absolute perfection! The lion fish app is amazing, as is their lobster entree! We will be coming back! Thank you so much!! Hope to see you again soon!! Thank you so much. Thanks for coming, and thanks for taking the time to write such a nice review. We really appreciate the kind words and support! What a beautiful location! The food,ambiance, and serice were outstanding. Very romantic with a Casa Blanca flair! Looking forward to going again! Thank you so much for this super sweet review!! Please come back and see us again soon. 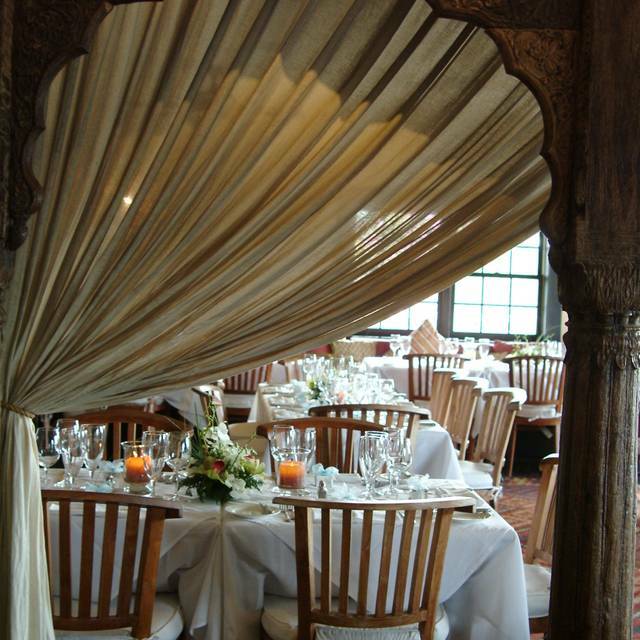 The team went out of their way to help us celebrate our engagement, the food was fantastic, and the ambiance perfect. Thank you so much, and Congratulations!!! We're so happy you enjoyed yourselves. Please come back soon! !